Superbly located in the centre of the Four Valleys region of Verbier / Nendaz / Veysonnaz / Thyon in Siviez, Switzerland! 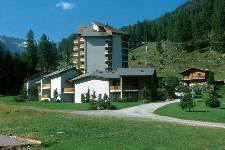 The chalet is for rent for a summer vacation or a winter ski holiday. Enjoy the magnificent views of the beautiful Swiss alpine scenery from the balcony. Located near to some small shops and restaurants (1 minute walking distance) or to the village of Nendaz (5 minutes by car). 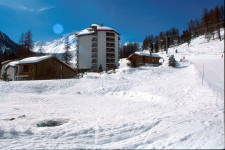 The chalet is at the end of a short private driveway, which gives access to a small series of privately owned chalets. During a summer vacation enjoy while relaxing, walking and exploring the Alps' wild flowers, glacier, forests and mountains. Nature-lovers will be charmed by the landscape. There are more than 250 km of rambles from the plain of the Rhone up to the glaciers, many level strolls following the ancient irrigation channels across the mountainside. Or go for numerous available activities as tennis, squash, mountain biking, walking, paragliding or nearby for swimming, beach volleyball, VITA training circuit, fishing, archery,... An excursion to Mont-Fort offers one of the most impressive panoramas of the Alps. A sightseeing holiday with the historical city of Sion, vineyards, museums, caves and the Lake Geneva at a short distance with the beautiful summer lakeside cities of Montreux and Lausanne. During a winter ski holiday enjoy the most extensive ski areas of Europe, the Four Valleys. The chalet is located at the border of the ski slope, above the ski station. Leave the house on skis or snowboard and glide down to the ski station. The high altitude of 1766 metres gives almost a guarantee for snow around the chalet and on the ski slope front door. Rapid access from the ski station to the different ski slopes of Verbier, Nendaz and Veysonnaz. More then 100 ski lifts and 400 km of ski runs, up to the Mont Fort (3330 metres)! There are facilities for curling and for snowboard stunts (snow park on Mont-Fort).